France's warplanes have carried out airstrikes on targets in northern Chad on Sunday in support of local troops trying to repel a convoy of unidentified fighters that had crossed the border from Libya, a statement by the French military said. 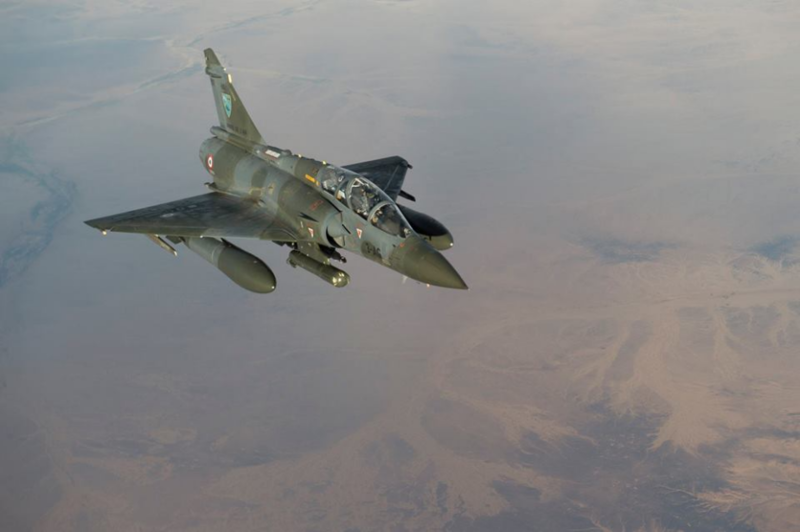 French armed forces said on Monday that a Mirage 2000 patrol intervened jointly with the Chadian army in northern Chad to strike a column of 40 pickups of an armed group from Libya infiltrating deep into Chadian territory. "This intervention at the request of Chadian authorities helped hinder this hostile advance and disperse the column." The statement adds. The statement did not specify who was behind the incursion, but it was the first time French forces have hit targets in support of Chadian troops since a fledgling rebel movement based in southern Libya increased its activities last year. Press sources reported that the convoy could be from the rebel movement, the Military Command Council for the Salvation of the Republic (CCMSR), which was founded in 2016 and has fought Chadian forces several times near the Libyan border since August. Libya itself is suffering from infiltrating Chadian rebels who work as mercenary fighters for different armed groups, especially those under the command of the self-styled army of Khalifa Haftar, and have been carrying out operations in different areas in southern Libya.